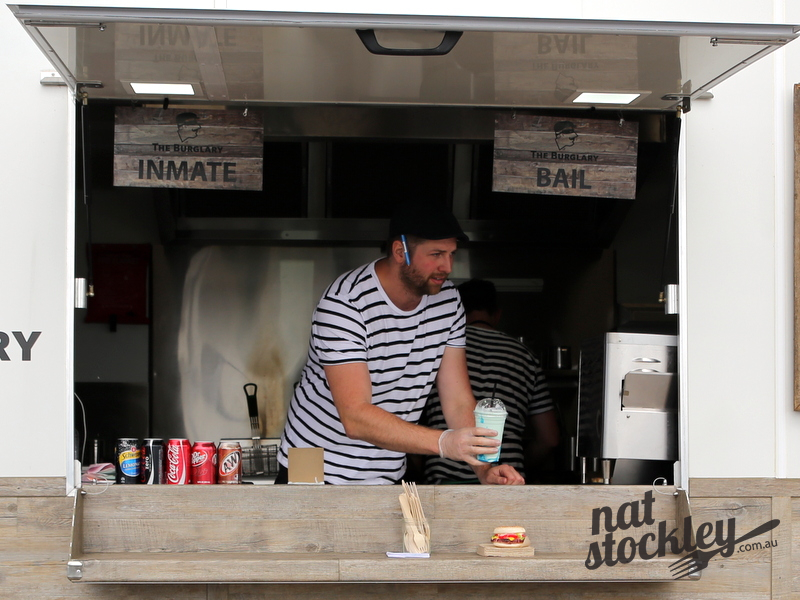 Love them or hate them, it’s hard to deny that two of the hottest trends in Melbourne right now are burgers and food trucks. Business partners Cameron Peirce and Michael Purdie decided to capitalise on both crazes with the launch of their burger-centric food truck The Burglary. Peirce and Purdie have been in the hospitality sector for in excess of fifteen years, both entering the industry in their late teens. 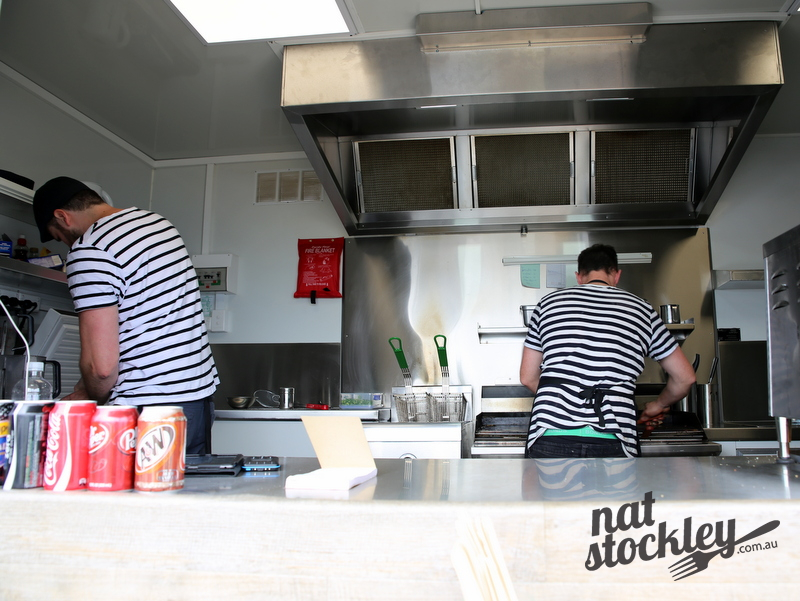 They last worked together at Sorrento’s Just Fine Foods and after taking a break decided the time was right to launch their own food truck venture. 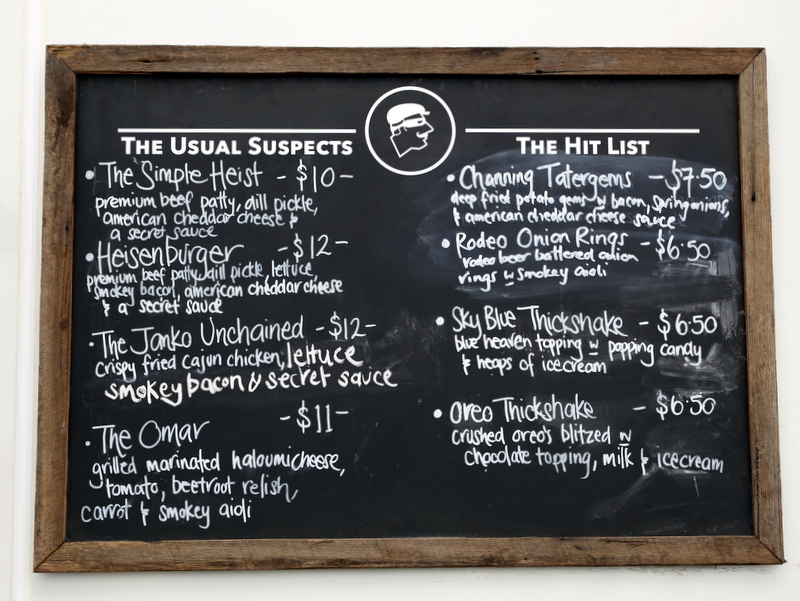 Whilst they guys have a little fun with the burglar theme, there’s plenty of substance beyond the cleverly named menu items. I like that they’ve kept the menu brief and haven’t tried to over think it. There’s a couple of beef burgers, a chicken burger and a vegetarian option with grilled marinated haloumi cheese. I order the signature Heisenburger which comprises their premium beef patty, smoky bacon, American cheddar cheese, dill pickle, lettuce and secret sauce. All the beef burgers features a 120 gram grass fed beef patty made with a blend of brisket and chuck sourced from a butcher in Rosebud. 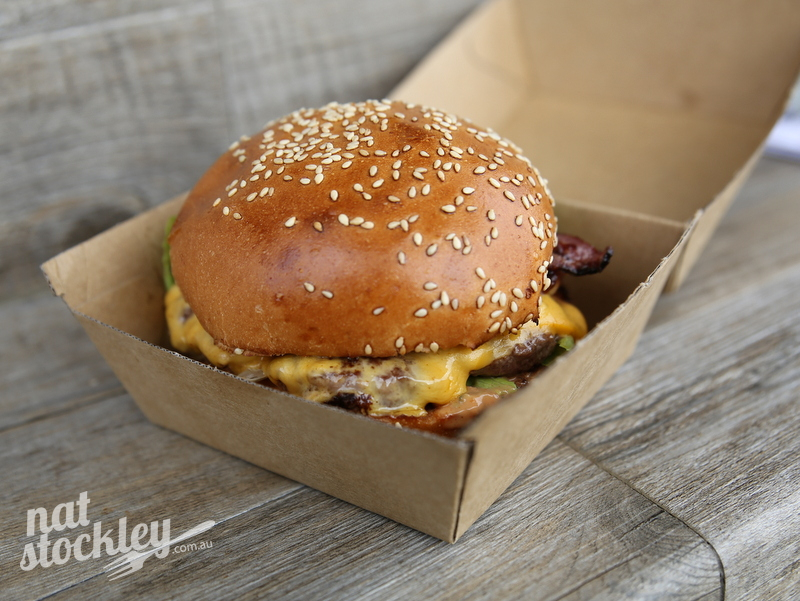 The Brioche buns are not overtly sweet and are produced by a baker in Mornington. As per the menu description the bacon is indeed beautifully smoky. The dill pickles they use on the burgers are house made. It’s a darn good burger as ordered and would only get better if you made it a double patty. My only gripe was that I found the bacon quite stringy and difficult to chew, but otherwise the burger was very appetizing and nicely put together. I skipped the sides on this occasion, but there are onion rings and the inventively named Channing Tatergems (potato gems). The tater-gems are taken up a notch with the addition of bacon, spring onion and American cheddar cheese sauce. There are also a couple of thick shake flavours available. For the interim, you can find The Burglary parked in the Beach Rd car park directly in front of Antibes Street in Mentone. I recommend checking their Instagram feed for exact trading details, but I believe they will be there Friday nights, then all day Saturday and Sunday throughout December 2015. 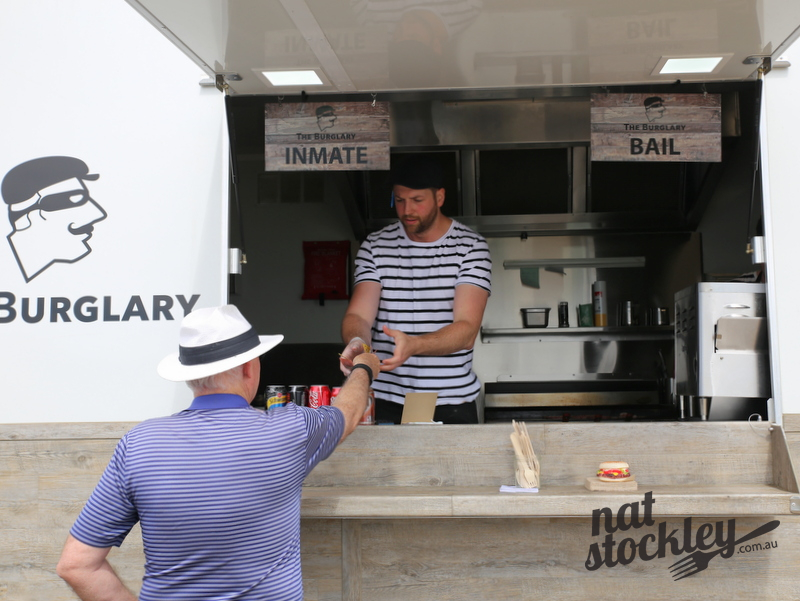 In January 2016, The Burglary plan on trading daily from the Mentone beachfront location and will also be operating at Emu Plains Market in Balnarring and The Briars Market in Mt Martha on select market days. 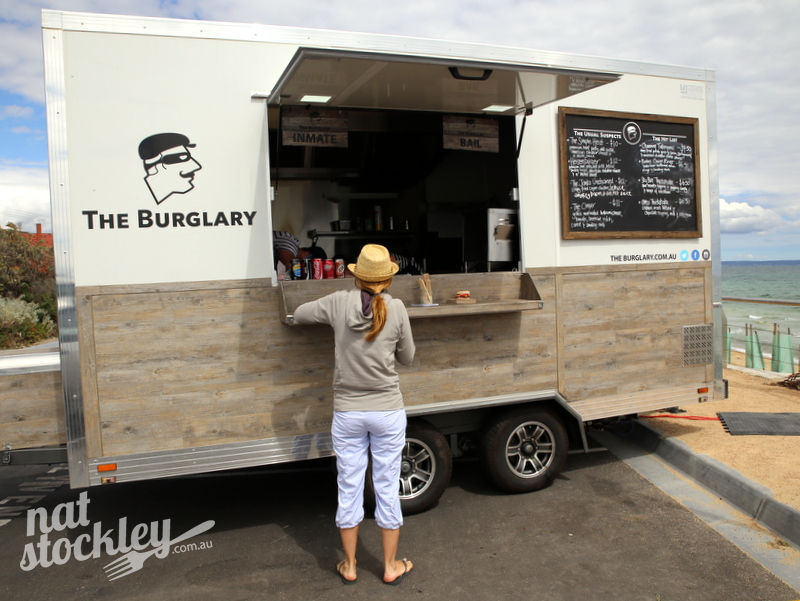 As the weather warms up and Mentone locals make a beeline for the beach, I’ve little doubt The Burglary will be one extremely popular food truck.